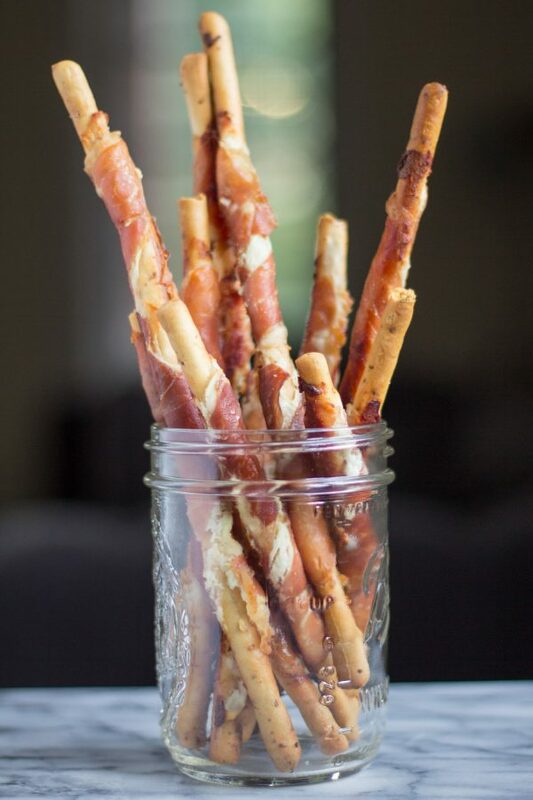 Goat Cheese and Prosciutto Wrapped Breadsticks are an simple three ingredient recipe for an appetizer that I can’t stop eating. 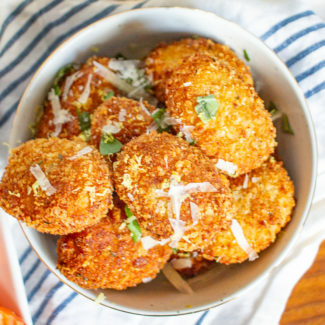 This recipe is both easy and so good that you can’t stop eating it! 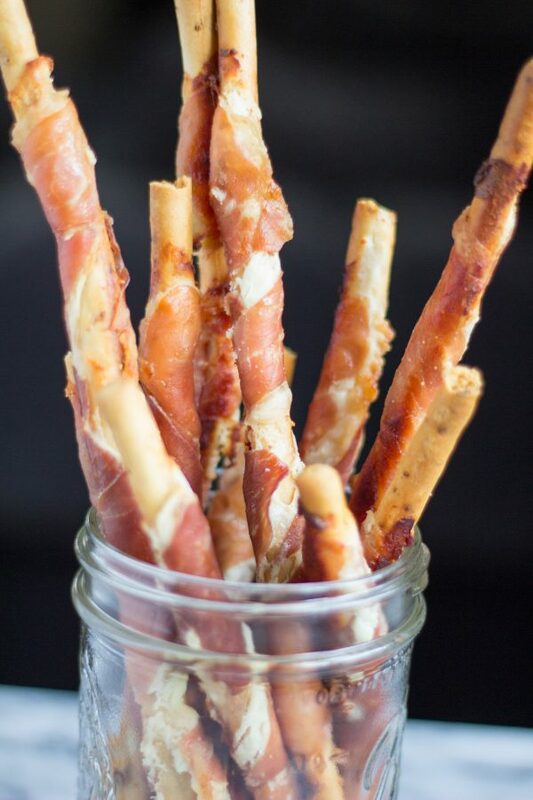 Goat Cheese and Prosciutto Wrapped Breadsticks are a simple appetizer or snack with the magical combination of salty prosciutto, creamy goat cheese, and crunchy breadsticks. 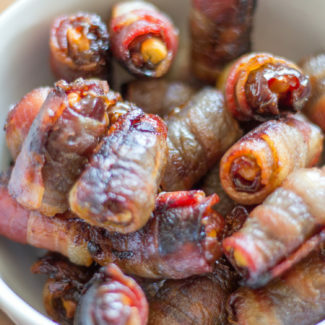 It’s the type of snack to put next to the bar next time you have a cocktail party or on the coffee table before you settle in to watch a movie. 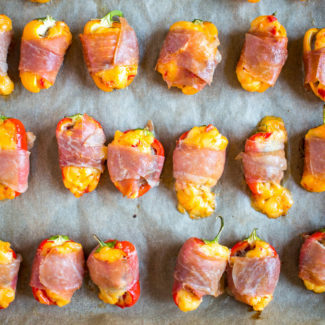 The best thing about this crowd-pleasing snack is that anyone can make it. You don’t need any cooking skills or special equipment. You just need some prosciutto, room temperature goat cheese, and breadsticks. It is important to let the goat cheese come to room temperature so that it is spreadable. Just leave it out on the counter for 20 minutes and you should be all set. You could use alouette or boursin instead of goat cheese. It is totally up to you! Charles loves spicy prosciutto, you could use that too. 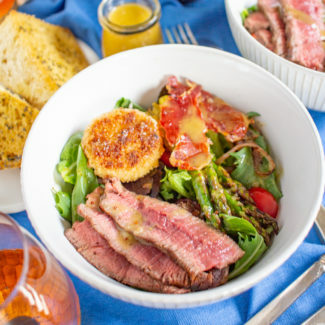 This recipe is such an easy way to upgrade a food that is pretty boring otherwise. Let’s face it, these breadsticks aren’t the most exciting food, but when you add some cheese and prosciutto they become irresistible. 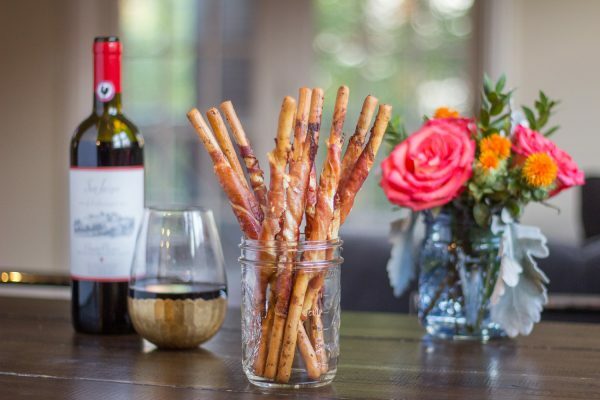 You could even serve these Goat Cheese and Prosciutto Wrapped Breadsticks along with a dip. 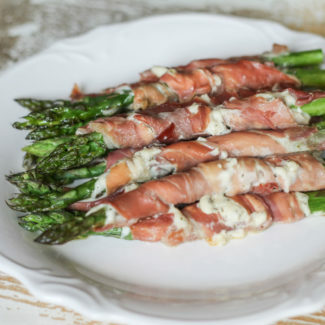 They would be delicious with a creamy spinach dip. 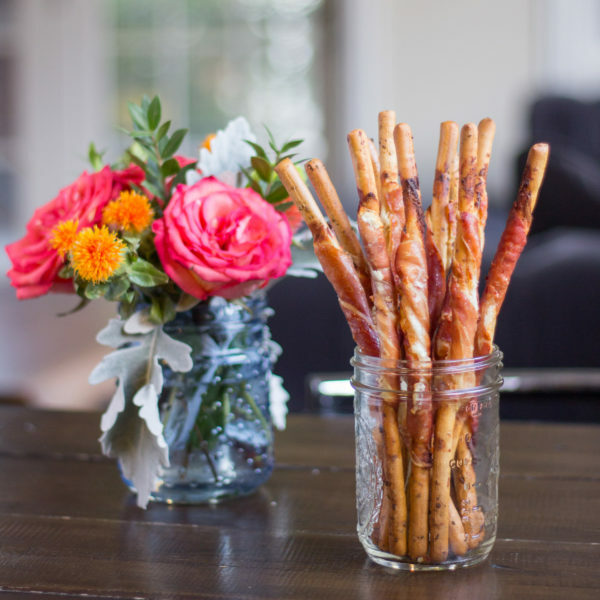 I like to bake the breadsticks so that the prosciutto gets crispy – it gives it a crispy texture and a taste similar to bacon. You don’t have to bake the breadsticks, they taste great even without going into the oven. It is important to note that if you are not going to bake them, you need to make them just before serving, otherwise they will get soggy. This isn’t an issue if you bake the breadsticks. You might find a variety of breadstick flavors available at the grocery store. I have been using the garlic flavor, but any flavor will work. Then assemble the breadsticks. 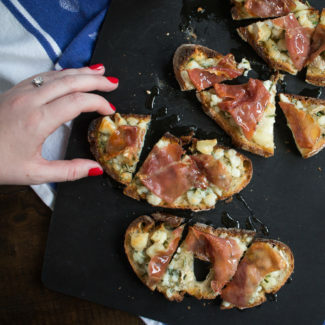 Spread a layer of goat cheese over a slice of prosciutto. Use a sharp knife to slice the prosciutto in half creating two long skinny slices. Wrap each slice around a breadstick. Place the breadsticks on a parchment lined baking sheet. Continue this process until you have used all of the prosciutto. Bake the breadsticks at 350 degrees for 12-15 minutes, until the prosciutto has crisped up. *If you use one package of prosciutto and one package of breadsticks you should get about 16 wrapped breadsticks.